Incredibly rich and indulgent, Paul A Young's chocolate ganache recipe is sure to impress dinner guests but is easy to prepare in advance. 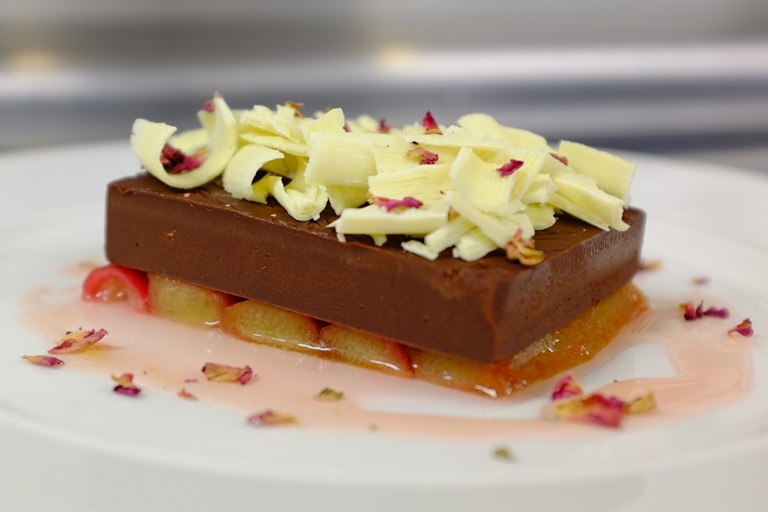 Vodka-braised rhubarb is topped with a rich, Earl Grey tea-infused chocolate ganache and garnished with white chocolate and rose. Paul suggests using 'champagne' or early season rhubarb where possible, as this has a more tender texture and a beautiful bright pink colour.